Physical education programs in schools directly benefit students' physical health. Getting the recommended amount of exercise combats obesity, which subsequently reduces the risk for diabetes, heart disease, asthma, sleep disorders and other illnesses. Regular exercise also contributes to cardiovascular health and promotes muscle and bone development. According to the National Association for Sport and Physical Education, school PE programs should require both fitness and cognitive assessments. In addition to participating in physical activity, students in PE learn the fundamentals of a healthful lifestyle, the building blocks upon which they can develop into healthy, knowledgeable adults. 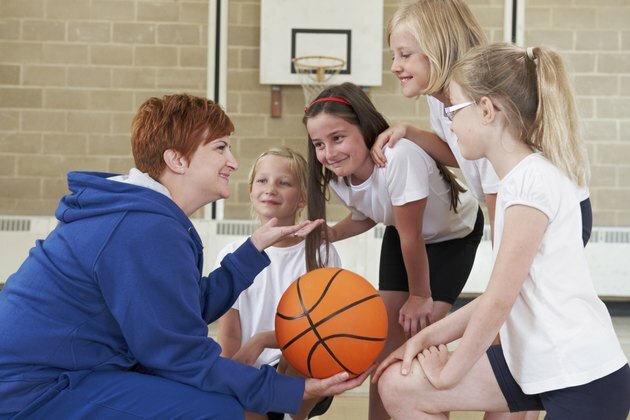 Activities in PE help children develop healthful social interactions. From a young age, children learn cooperation through group activities and form a positive sense of identity as part of a team. Such group activities are continually important as children grow older. The International Platform on Sport and Development states that “sport has been used as a practical tool to engage young people in their communities through volunteering, resulting in higher levels of leadership, community engagement and altruism among young people.” Sportanddev.org also notes that positive character development through group physical activities depends on the program curriculum. The benefits of PE to a child's mental health are both complex and comprehensive. Improved physical health, academics and social interactions all contribute to good mental health. Physical activity sets the stage for a good night's sleep, while obesity, caused in part by inactivity, is linked to sleep apnea. Sleep deprivation negatively affects the body's immune function, aids in memory consolidation and may cause irritability and impatience. Regular physical activity, in addition to adequate sleep, provide more energy to participate in hobbies and interact with others.